I like challenge or out-come based (OCB’s) workouts because: #1 They are tough, #2 They are a great way to measure your level of fitness. 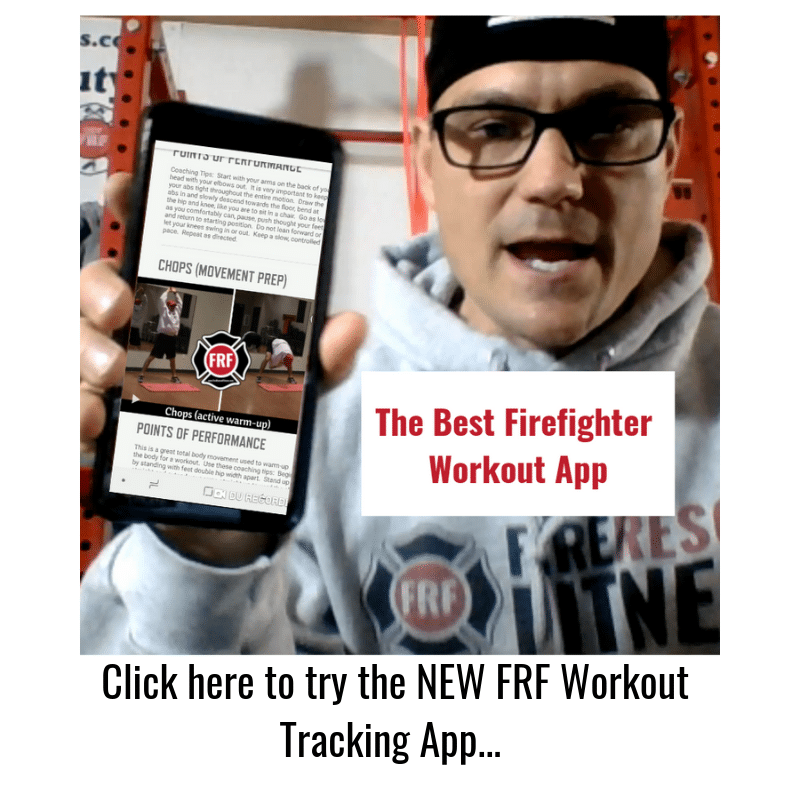 The last 3 years I have completed this special “Birthday” workout to help me measure my fitness and determine where I need improvement. This particular workout doesn’t require a lot of equipment and can be done at home or at the gym or firehouse (even if its 22 degrees below zero). I encourage you to do this workout (or a similar one) every once in a while to help keep you motivated and to gauge your level of fitness. 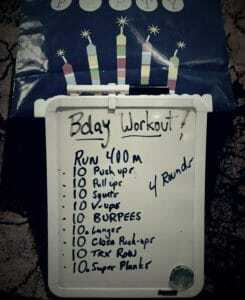 This “Birthday” workout is difficult but can be scaled to meet your available equipment and level of fitness. 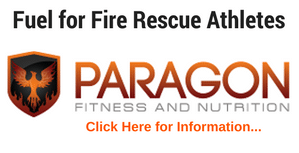 Before you begin this workout, like every workout, perform an active warm-up.